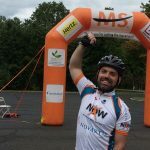 Three years ago, Rich Rundle joined the NYSCF Junior Leadership Council after his brother was diagnosed with an aggressive form of multiple sclerosis (MS). If he has learned one thing from his brother, it is that hope matters. NYSCF provides his brother with the hope to stay strong in his fight against MS. Every day, his family, his friends, and the NYSCF scientists working tirelessly to find cures all empower him to keep fighting. DONATE NOW! Help Rich Surpass his Goal! Three years ago, I joined the NYSCF Junior Leadership Council after my brother was diagnosed with an aggressive form of multiple sclerosis (MS). If I have learned one thing from my brother, it is that hope matters. NYSCF provides my brother with the hope to stay strong in his fight against MS. Every day, his family, his friends, and the NYSCF scientists working tirelessly to find cures all empower him to keep fighting. Inspired by the hope that NYSCF has given not only to my brother but also to many others suffering from devastating diseases, I have committed to a major undertaking. 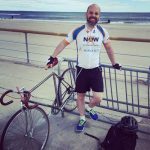 This summer, I will be biking from the NYSCF Research Institute in New York City to The Capitol Building in Washington, DC. 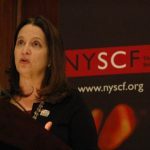 My goal is to inspire hope and to raise awareness for the promise of stem cell research, all the while raising funds to support NYSCF’s critical research. Dr. Dieter Egli, NYSCF – Robertson Investigator and Senior Research Fellow at the NYSCF Research Institute, has also committed to making the two-day ride with me this July. I hope you will join us in spreading hope and supporting NYSCF’s quest for the cures we so desperately need. 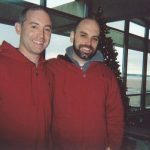 SPONSOR EACH MILE OF RICH AND DIETER’S JOURNEY FOR CURES!